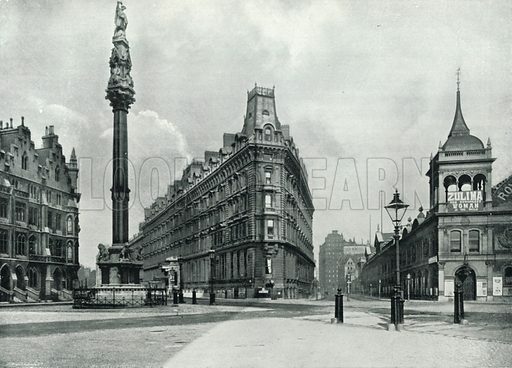 Westminster Palace Hotel, with the Westminster Column, Queen Anne's Mansions, and the Royal Aquarium. Photograph from Round London (George Newnes, 1896). Available worldwide for immediate download up to 4,722 x 3,388 pixels.